Cheer Up, Jay Ritchie. Jay Ritchie. Coach House Books. Toronto, Ontario. 2017. Jay Ritchie has reimagined what Richard Brautigan might be saying were he alive and living in Montreal. Cheer Up, Jay Ritchie does not emulate Brautigan so much as doff the hat in admiration as it continues along in its Jay Ritchie way. No disservice to the esteemed Mr. Brautigan, Today's book of poetry holds his work in high regard - but Mr. Ritchie is a richer serving. Today's book of poetry generally has a difficult time with poetry carved from surreal dreams but like my hero, Stuart Ross, Jay Ritchie operates with such efficiency and sleight of hand that you are at his mercy. These poems are tangential superheroes and dream-thought riddled with reason. Cheer Up, Jay Ritchie tries to wrestle the norm out of the daily grind and succeeds with a Cool Hand Luke grin. Truth be told, and Today's book of poetry always tries to tell the truth, some of Cheer Up, Jay Ritchie may have escaped our feeble grasp. When I passed Cheer Up, Jay Ritchie around the office before the morning read the response was universal: everyone loved the journey but no two of us ended up in the same place. Today's book of poetry likes to read poetry that takes the reader out of their comfort zone and Ritchie succeeds. 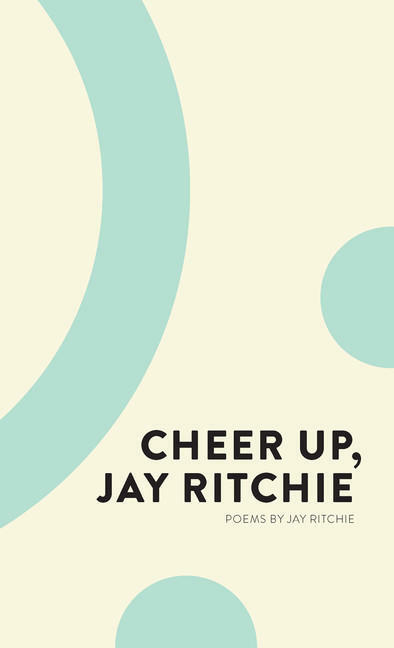 Cheer Up, Jay Ritchie uses sly humour and the reader is never quite certain if Ritchie's witty asides are detachment or genuine and gentle wonder. Today's book of poetry had no problem at all believing whatever Ritchie had to say. These poems rang true, from start to finish, like a metronome. said, The easiest way out is to look for an entrance. Our morning read was a rapid-fire affair. Ritchie's poems elevated the mood, the sun was actually shining in through the windows and had Mr. Ritchie heard our din I'm certain he would have been cheered. Cheer Up, Jay Ritchie is the genuine article. Ritchie is playing the long game, he strings things out onto a high wire, adds a bicycle, and then a beach ball, and then the elephant in the room jumps onto the wire. Everything ricochets skyward, airborne, juxtaposed, upside down and clearly doomed until Ritchie juggles them back down to the wire, each one precariously balanced in the good graces of the others. 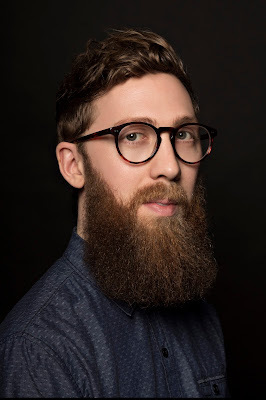 Jay Ritchie is welcome in the Today's book of poetry poetry kitchen any time. Ritchie can burn the house down. from this mass act of littering? ice cream in my coffee. is a celebration of life. someone would make a DVD. through tiny pinholes in the air. Today's book of poetry was thoroughly entertained by Jay Ritchie, he certainly cheered us up. Cheer Up, Jay Ritchie may offer some of the most original poetry you've read this year.